I hope you are having a happy and healthy winter! One of the best ways you can keep your immune system strong and avoid those colds that tend to attack us during the cold winter season is to eat lots of fruits and veggies. When I talk about how to Create a Plate that Makes You Feel Great, I suggest that we fill half of our plates full of fruits and veggies. But we get the most benefit from our fruits and veggies when we have a large variety in the kinds of fruits and veggies the we eat. 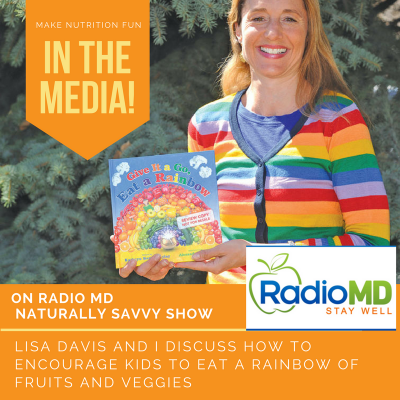 When I teach kids about eating a variety of fruits and veggies, I try to inspire them to eat a rainbow! Each of the colors can be associated with health promoting components found in the foods, from antioxidants to vitamins. 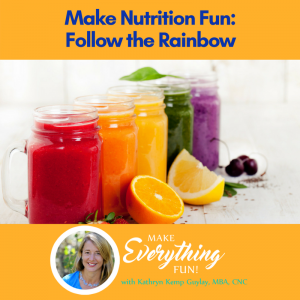 In this post, I will explain the benefits of each color of the rainbow, and remind everyone that as we seek out our Five a Day (two fruit servings and three vegetable servings) or more, we should be looking for real fruits and veggies. Beware of wanna-bes (foods that are marketed as being “made from real fruit” and “contains real vegetables” but have other non fruit/veggie sources as their main ingredients). You might be thinking, how can I possible get all of those colors on my (or my child’s) plate? You might be surprised how easy it is to find fruits and veggies in all colors of the rainbow. Parents: Use the following as a guide, but allow your child to be your shopper’s assistant in the grocery store (“can you help me find a purple vegetable?”), see what kind of colorful plates you can create. Looking for even more ideas? 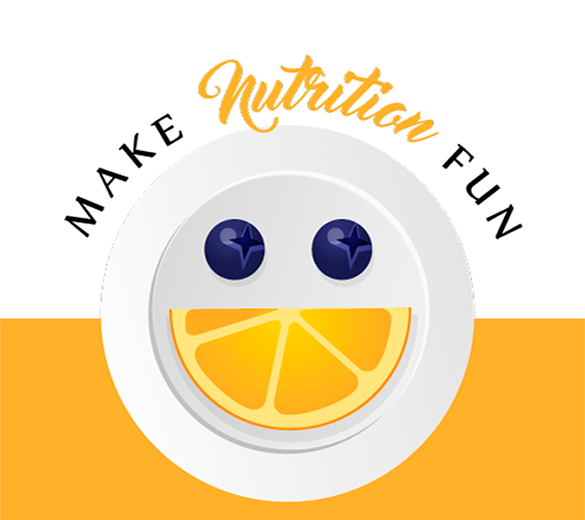 Check out our recipe database at Make Nutrition Fun. Fruits, Veggies, and Wanna Bes. 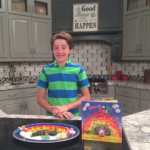 “This is a delightful children’s book that meters out interesting nutritional information in easy to understand beautifully crafted rhymes. Children are really drawn in with the rhymes. There are prompts throughout the book to keep your child actively engaged in the learning process. It seems like a game to them, artfully disguising the learning experience. The interaction has the added benefit of helping them retain the information they learn. The photographs are brilliant and, of course, explosive with color. The crowning touch is the adorable cartoon character, Sammy the Bunny, who makes the journey through the book with you. Every time I turned the page, I found myself looking for where Sammy the Bunny would be hiding next. I enjoyed this book so much I read it twice and even I learned a few nutritional facts I didn’t know. This book is going on my Christmas list for not only my grandkids but my great nieces and nephews too. They all know to expect good books when they see me. 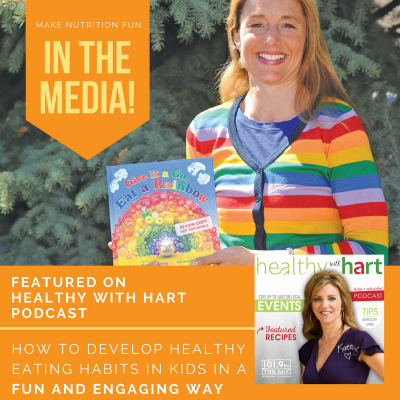 It’s important to teach children the love of reading at a young age and when you can add nutritional education in that mix it’s a great bonus. Children need to learn great nutritional information while they’re young. It will stick with them.